Threeguru, one of Derby’s leading marketing agencies, are delighted to be appointed as the preferred agency for Nottingham based British Canoeing. 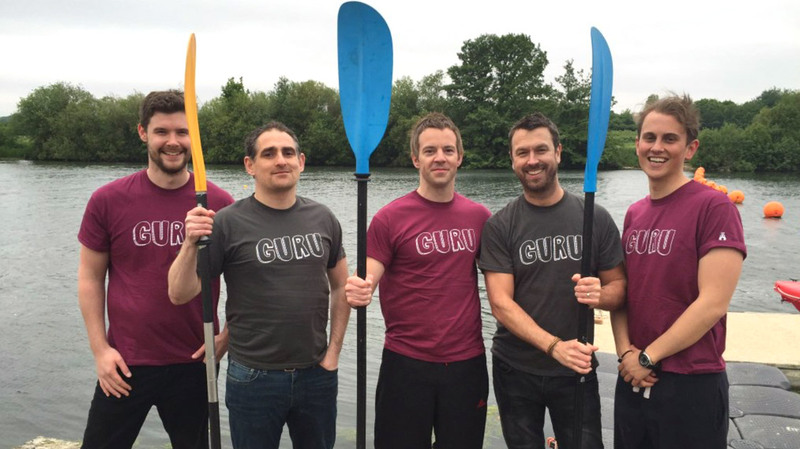 After successfully tendering for the business in early 2016, the creative gurus took the time to get under the skin of the organisation and it’s different approaches to canoeing including a participation session with ‘Go Canoeing’ at Holme Pierrepoint. Threeguru have taken established branding and created a recognisable identity which connects British Canoeing with it’s many sub-brands including ‘Go Canoeing’ and ‘U Canoe’. The brands position themselves very differently; British Canoeing on the professional competitive element with a strong emphasis on Team GB whilst Go Canoeing focuses on participation and positions itself as a fun exhilarating brand. Threeguru have designed and created marketing collateral across the BC brands including press adverts, exhibition stands, leaflets, posters and vehicle livery and if Stella McCartney would allow they’ve even got their own ideas for clothing! In less than 36 months threeguru have become a formidable part of the creative community in Derby, creating a B2B & B2C marketing agency with over 100 active clients. As a full service marketing agency we offer a mix of services that range from creative design through to video production. Our digital gurus are adept at maximizing well thought out creative through various social and digital marketing channels to deliver engaging brand experiences…in short we are passionate about all things marketing!